Home»Archive by Category "California Divorce Law"
The ins and outs of any law can be detailed and confusing to anyone, especially anyone not practicing law. Therefore there are a bounty of misconceptions that come along with understanding any law. When these laws involve divorce, they can become infinitely more difficult to navigate and properly understand. Anything from property, assets, debts, child custody, alimony and more, are typically involved in divorce filing and proceedings. In California, the laws are just as hard to understand as anywhere else in the U.S. This being said, it is one of the states that has the most people confused about certain laws and asking the most questions. For that reasons, here are the top 5 questions asked in reference to divorce Laws in the Golden State, answered and debunked. If we have a joint account that has occurred debt but my name is not on the credit card, do I owe this debt incurred during marriage? Marriages are seen as business partnerships under the law. The old adage, “what’s yours is mine” rings true for this frequently asked question. You can ultimately be held accountable for the debts that either spouse incurred during the marriage. This legal rule is put into effect in this manner because it in turn protects creditors from a spouse claiming that the debt acquired during the marriage belongs to the other person and not to them. If the debt was incurred while married, it does not matter whose name is listed on the credit cards. 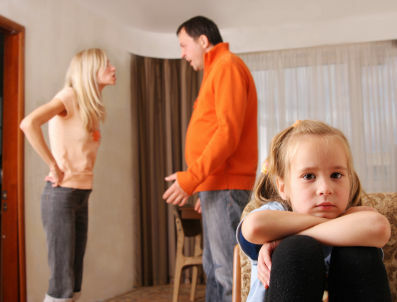 If we have equal custody, does child support still need to be paid? When parents share custody of children, even if the court has mandated that the custody is 50/50, child support can be ordered by the court. Gross incomes of both parties and actual timeshare of the child have the biggest impact on this decision. If the incomes of the parents are not almost equally matched, there will be some kind of child support exposure for the greater earner. How long should I wait until I get remarried? It is imperative that you get a court to issue a judgment that terminates your marital status before you pursue anything as far as another legal marriage. The earliest you can terminate your marriage and be returned to the status of a single person is 6 months from the date a filed divorce petition is served on the other spouse and no sooner. If either of us remarry, does the child support amount increase or decrease? The simple answer to this question is that the income of a new spouse or partner of a parent obligated to pay support cannot be used as a factor to reduce child support. Do you have to be married for at least 10 years to get a part of your ex-spouse’s pension rights? Any of the earnings that are acquired from the date of marriage to the date of separation is considered community property. This means that under the law, all money acquired and used towards retirement benefits, pensions, profit sharing and stocks, will be community. The length of marriage has no bearing on your right to the community property acquired from date of marriage to date of separation. The moment you are legally married, is when those rights go into effect. There are a number of other questions that are commonly asked when California divorce is brought into question, however these ones are some of the top questions that are often misconstrued when answered. Hopefully these condensed answers have helped you with any questions or concerns you may have. Remember, your local courthouse that specializes in family law, will always be able to help you with these types of questions or concerns.